Quite a few homeowners in Cleveland and beyond are opting to sell their properties on their own, without the help of a Realtor. Homes for sale in this manner are tagged, “For Sale by Owner,” or FSBO, on listings and other advertising materials. 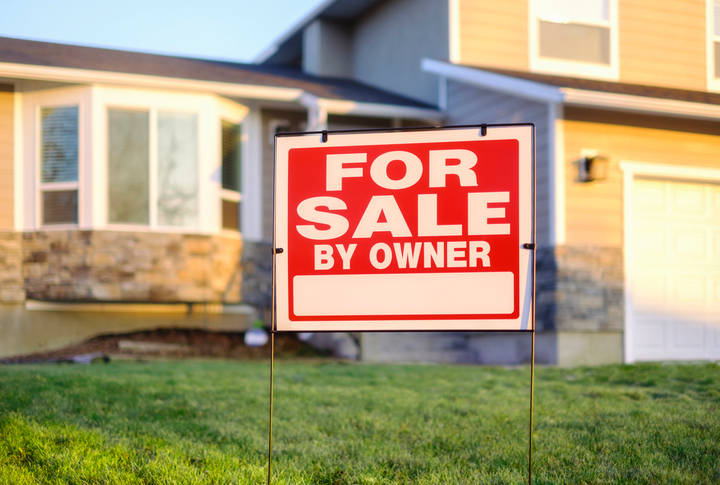 FSBO home sellers often start out thinking they can get more money for their property since they don’t have to pay an agent’s commission fees. Statistics show, however, that FSBO homes typically sell for less than properties sold with professional assistance. According to the 2017 Profile of Home Buyers and Sellers from the National Association of Realtors (NAR), the average selling price of an FSBO home in 2016 was $190,000, compared to $249,000 for homes sold with a Realtor’s assistance. Here are some reasons why taking the FSBO route can be disadvantageous. Many FSBO homes are overpriced, causing them to sit on the market longer than necessary. Eventually, the homeowners are prompted to offer significant markdowns or get the services of a Realtor in order to sell their properties. Owners tend to price their homes emotionally – they see their property as a standout and believe buyers will look at it the same way. Professional real estate agents, on the other hand, are more objective. To come up with the right listing price, they conduct a Market Analysis that takes several important factors into account, including the prices of similar homes that recently sold in the area, market trends, and the condition and desirability of their client’s property. You can get a higher price for your home if more buyers are bidding on it. To attract more buyers, a solid marketing plan must be in place – something a Realtor is trained and equipped to achieve. An amateur home seller has access to many of the same internet-based listing sites and other marketing avenues as a real estate professional. However, a Realtor has the advantage of a widespread network that allows them to reach more potential buyers. A Realtor also knows the most cost-effective means of promoting their client’s property and has the skills and access to other professionals to help them create a great listing, with compelling photos, videos, and descriptions. A professional real estate agent can devote all the time needed to find the right buyer for their client’s property, which a typical home seller might not be able to do. The selling process involves more than just listing your property on the internet. You need to prep your home for the sale, market it on different platforms, follow up on leads, qualify and negotiate with buyers, and work on the mountain of paperwork that comes with the process. Unless you’re prepared to take time off from work or are willing to devote much of your time to attend to these things, you’re better off letting a real estate professional handle these for you. FSBO homes typically attract bargain hunters who are under the impression the sellers are desperate to unload their homes. Unfortunately, many of the people you attract are not qualified or are not serious about buying a home. Without the right experience in qualifying buyers, you could end up with a difficult buyer and lose money in the process. Are you selling your home in the Cleveland metro? Check out our home selling guide here. Make sure you get the highest possible profit from what’s probably your single biggest investment by working with a Top Realtor in Cleveland. Get in touch with Michelle McQuade at 440-823-2448 or email her at MichelleMcQuade(at)HowardHanna(dotted)com.